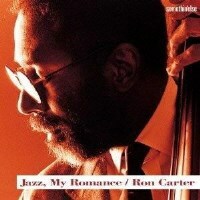 Legendary bassist Ron Carter has been a frequent collaborator with Somethin' Else producer Hitoshi Namekata. For this 1994 release, Carter chose a chamber-like trio with piano and guitar as the format and great partners: Kenny Barron and Herb Ellis. While the music may sound orthodox on surface, some aspects stand out: The clear leadership of Carter, thoughtful arrangements, relaxed but focused improvisation, and top-quality interactions among these veteran players. This album also turned out to be the last collaboration between Carter and Ellis on record. The quality of the sound, engineered by Jim Anderson, is also superb. Recorded at Clinton Studios, NYC, on January 4 and 5, 1994. SHM-CD uses an advanced polycarbonate material for superior sound quality and is compatible with all CD players.